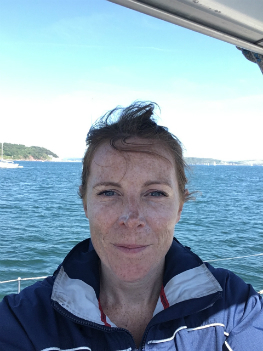 "I have always been a keen traveller and have a special affinity with the sea - through my love of sailing I have worked in Maine and the Mediterranean, enjoying everything from Lobster BBQs on the beach to local Turkish meze. However it was sailing around the British Virgin Islands that led to my enduring love for the Caribbean and the creation of Tropic Breeze. I've visited every single hotel and resort that is featured on our website and am always happy to talk to clients about options. " Memorable Experiences: "There are so many experiences that can make a holiday special, and I find that each trip gives something new to remember it by. Being up close to hummingbirds in a rainforest on Tobago, going on a zip wire through the rainforest in St. Lucia and snorkelling in volcanic bubbles in Dominica are just a few of the most memorable things I've done." Favourite Places: "Where do I start? I think I'd have to choose Barbados, the BVI’s and Bequia." Where next? "Cuba sounds fascinating!" Top Travel Tips: "When visiting the Maldives, make sure your flight times are carefully planned as sea planes can't land after dark. If you enjoy snorkelling I would recommend that you stay at an island with a good house reef. In the Caribbean don't just stick to the beach - venture inland and sample some of the island's unique culture." Three things I couldn’t travel without: "Phone, camera and snorkelling equipment - even if I have only got a few minutes spare I am straight in the water!" "My journey to Tropic Breeze is quite a strange one! I started my working life as an Internal Auditor before moving into the corporate world - I travelled between the UK, Asia and Australia meaning lots of travelling and little time at home. I then decided to “help” Jo out for 6 weeks but never left….that was over 13 years ago!" 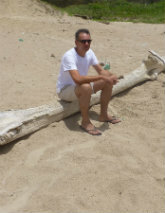 Memorable Experiences: "I have an incredible amount of memories from my many years of travelling. Some of the experiences that really stand out include driving across Borneo and giving way on the roads to monkeys, a road trip from Los Angeles to Mexico where we stopped and ate lobster from shacks along the coast, and a visit to Sri Lanka where I watched local ladies hand pick the tea in the breathtakingly large plantations." 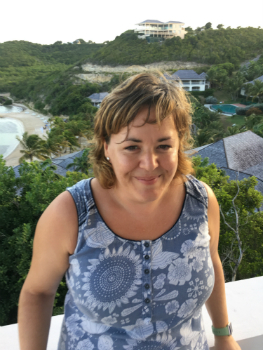 Favourite Places: "It has to be Bequia Island in the Caribbean... It’s rough beauty and unspoilt nature offers a truly authentic and beautiful Caribbean experience." Where Next? "Cuba - the stories I have heard and the cultural experience it offers makes it a destination I have to go and check out for myself!" Top Travel Tip: "Roll your clothes and pack them like that - it saves on room and no creases!" Three things I couldn’t travel without: "Phone, laptop and flight socks." "My career started in hospitality before progressing to British Airways cabin crew. I spent 10 years travelling the world and seeing my parents in the USA frequently before my husband and I choose to move to Devon to start a family. After spending a few years at home raising our two children, I decided to re-enter the world of travel - Tropic Breeze was the perfect fit." Memorable Experiences: "My past and current careers have enabled me to travel extensively, in terms of the highlights it has to be our honeymoon at Huvafen Fushi which was the ultimate luxury and pampering escape! Another trip I will always remember was driving from San Francisco to Malibu along the Pacific coast road and stopping for fresh seafood in Monterey Bay." Favourite Places: "The Sunshine coast in Australia. The beaches are beautiful and our stay in Maroochydore was amazing." Where Next? "I would love to take my two children to Carlisle Bay in Antigua." Top Travel Tip: "Buy a good mosquito spray..and use it!" Three things I couldn’t travel without: "Hand sanitizer, a big sunhat and my camera." "I had my work experience in a travel agents at school when I was 14 and off the back of this was offered my first travel job when I left school at 16. Now a quarter of a century later I still have the same passion and excitement as I did on my first day. The industry has changed dramatically throughout my career, but I still love it just the same." Memorable Experiences: "I have fond memories of hot air ballooning over the Masai Mara and crash landing into a tree, flying over the Grand Canyon for my 21st birthday, kayaking the mangroves in Antigua and catching my first glimpse of a Caribbean beach in Jamaica over 20 years ago - I was hooked! I was also privileged to travel through Israel a number of years ago and walking the Via Dolorosa in Jerusalem was an amazing experience I will never forget." Favourite places: "I really believe that travel broadens the mind so I'm always happy to go somewhere new. My favourite places would be Grand Anse Beach in Grenada for the stunning views and local life, New York for its feeling of familiarity around every corner and Kenya for the most amazing wildlife - hearing lions from my tent on safari was just fantastic!" Where next: "I would love to take my daughters to Barbados so I can share my love for the Caribbean with them." Top travel tip: "Always double check you have your passport and travel documents before leaving the house and leave plenty of time to get to the airport." Three things I can't travel without: "Sunglasses, guidebook and swimming costume." "Growing up in Scotland, I spent my weekends sailing and skiing. 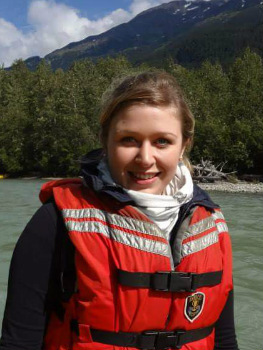 After university, my love of the outdoors led me to begin my career in the travel industry, putting together ski holidays in London. A few years later I began working for British Airways, before taking a career break to bring up my family. 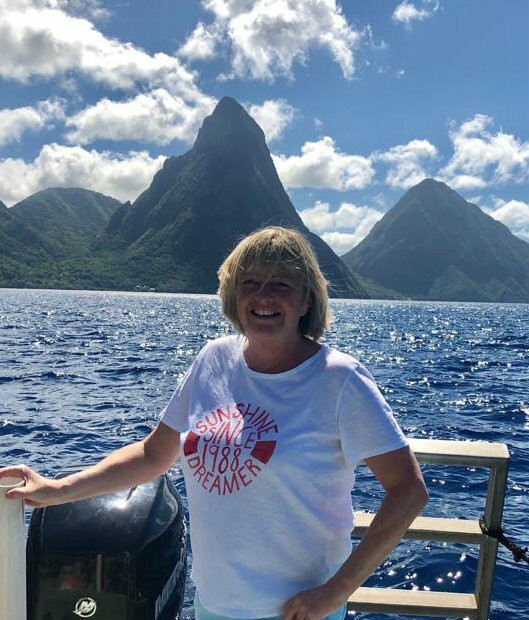 Drawn by the sea, I moved to Devon with my husband and our sailing boat where I was very happy to be able to indulge my love for the travel industry by joining Tropic Breeze!" Memorable Experience: "Sailing into the heart of Tangiers harbour in Morocco was a pretty memorable experience. Learning to Scuba dive at Noosa heads in Australia was amazing and one that I will never forget." Favourite Places: "I love skiing in the Alps and my best trip ever was 2 weeks spent skiing in St Anton in Austria after a massive dump of powder snow. " Where next: "Bareboat sailing around the BVI’s and Grenada." Top Travel Tip: "Pack less and learn a bit of the local language." Three things I couldn’t travel without: "Sunglasses, flipflops and my phone." My passion for travel started at a young age as I was lucky to travel to Greece and other parts of Europe frequently to visit family. 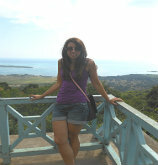 After exploring new places, cultures, and languages I was determined to turn my passion for travel into my dream job. My love of the ocean led to a career as a dive travel consultant, specialising in bespoke liveabord and shore based trips worldwide. After a break from the travel industry I realised this is my true passion and I was lucky enough to join the Tropic Breeze team! Memorable experiences: "Quad biking in Spetsas, Greece, zip lining in Montezuma, Costa Rica, and I won't forget scuba diving with curious Oceanic white tip Sharks in Egypt in a hurry!" Favourite places: "Wow this is difficult! I’d have to say the Osa Peninsula in Costa Rica, truly one of the most beautiful and relatively untouched places in the world. It alone makes up 2.5 percent of the world's biodiversity." Where to next: "Grenada - if can tear myself away from the beautiful Grand Anse Beach, I'd love to visit the underwater sculpture park and explore the rainforest, especially Annadale falls. After that, Petit St Vincent in The Grenadines to explore the stunning local dive sites which are teeming with abundant marine life." Top Travel Tip: "Take a phrasebook and use it learn a few local phrases. Pack a tennis ball in your hand luggage, great for relieving stiff and sore muscles - roll it over your shoulders, lower back, legs, and the bottoms of your feet to help get your blood flowing again." Can't live without: "Sunglasses, flip flops and a scarf, which makes for a great blanket if you get cold on the plane." "I moved to Devon in 2004 to study for my degree in Hospitality Management. After graduating I worked for a local government agency for six years. However the draw of working in an industry that had always been of great interest to me was just too much to resist, especially with the unique setting of an old converted coach house surrounded by countryside with three friendly Labradors. Having been lucky enough to travel with both my family as a child and now with my husband, I am keen to travel further." Memorable Experiences: "Where do I start? Top three have to be; riding elephants bare back in Chiang Mai, Thailand, sailing past the Italian Volcano, Stromboli as it erupted and watching a local man catch fish in the Indian Ocean." 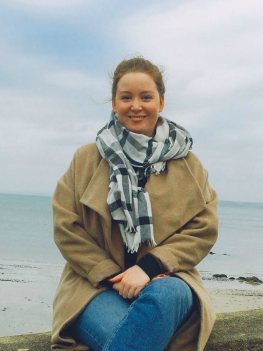 Favourite Places: "I love walking around Dartmoor particularly in the Autumn, I also have a real love for Thailand- it’s friendly people, low cost living and beautiful landscapes make it an unforgettable experience." Where next? : "BodyHoliday in St Lucia! I am a big fitness fan and the idea of sunshine and unlimited fitness activities is my idea of a dream holiday! New York is also high on my list." Top Travel Tips: "No...You really do not need to take 6 pairs of shoes for 7 nights.. ( I should really listen to my own tips!)" Three things I couldn’t travel without: "Camera, swimwear and hair straighteners." "I love travelling, experiencing new things and making new memories. I qualified as a Chartered Accountant in 2001 and worked in practice for many years, before joining Tropic Breeze this year for a bit of a career change, albeit still in accounts! It is a great place to work and just makes me want to travel all the more." Memorable experiences: "Scuba diving in the Maldives as the sea life was truly magical, sampling the amazing cuisine of Southern India, cycling from Munich to Venice and bathing in natural thermal waters in Iceland." Favourite places: "I don't think I have one favourite place - I have taken something different from everywhere I have been and sometimes I am happiest on a sunny day in beautiful Devon!" Where's next: "There are still many places I would love to visit but I have my eye on a trip to the Caribbean with my children." Top Travel Tip: "Do some research but not too much, do something you wouldn't usually think of doing and don't sit down for too long. My top travel tip has to be to taks a good bug spray, biting insects love me!" Three things I can't travel without: "Passport, money and a sense of adventure!!!" "I started working in travel when I was 20, left and came back as it's definitely the industry for me. It takes you places!" Memorable experiences: "Snorkelling off Menjangan Island in Indonesia was pretty amazing." 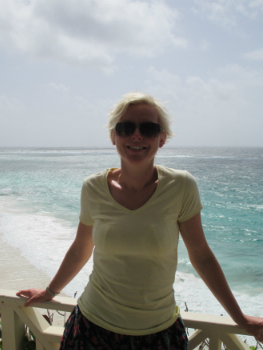 Favourite Places: "Antigua for the beautiful beaches and friendly locals." Where’s Next? "Peter Island in the British Virgin Islands - it looks incredible and I've heard some glowing reviews that it is more beautiful than the pictures show - hard to believe!" Top Travel Tip: "Try to speak to someone who has been, they will let you know the hidden gems and what to expect!" Three things I couldn’t travel without: "Lipbalm, bug spray and my husband!" "Having travelled abroad with my family from a young age, it was studying Tourism at University, which ignited my passion for travel. I have always loved visiting new places and experiencing new cultures and was fortunate to spend a year teaching English in Uganda, which gave me the wonderful opportunity to trek with Gorilla’s in the Virunga Mountains and go white water rafting on the White Nile." Memorable experiences: "I have travelled extensively around the world to Asia, Australasia and Canada, taking in the floating markets in Thailand, skydiving over geysers in New Zealand, trekking rainforests in Fiji and scaling the Rockies in Canada! In recent years I have also been to Sri Lanka, where one of my most memorable experiences was washing elephants in the river at the Millenium Elephant Foundation in Kegalle!" 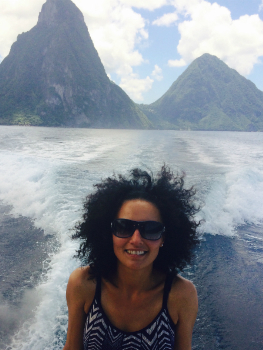 Favourite Places: "The wonderful sights and sounds of Bequia, St Vincent, Grenada and Barbados ; Soaking up the local culture, sampling the island cuisine (mango yoghurt, callaloo, barracuda, conch curry, bajan hot sauce), dancing barefoot on the sand to the tune of soca and horse riding on the west coast beaches of Barbados!" Top Travel Tip: "Remember to pack an overnight bag with swimwear and sun tan lotion just in case you arrive at your destination without your luggage!" My top travel tip: "Smile! Wherever you go in the world, a smile will always grant you a warmer reception and ultimately give you a more fulfilling experience." Three things I couldn’t travel without: "Sun cream, sun glasses and a camera." "Traveling whenever I can, is a necessity for me - I definitely have the travel bug. It began when I first embarked to Canada on my own when I was 18 years young and continued when I studied. I am from Germany but I have lived abroad for several years and Devon became my home away from home. Marketing and photography are also big passions of mine and to combine all of that at Tropic Breeze is just amazing." Memorable Experiences: "There are so many and I always enjoy trying new things. I loved every minute of my working and holiday stay in New Zealand, my crazy road trip in Ireland, swimming with dolphins, scuba diving in Hawaii, whale watching in Australia and to be on a tiny island with my friends on the Philippines - to name a few." Favourite Places: "Again, there are too many to name them all and every place has its own magic. I love New Zealand's nature, its people and food, Ireland, Scotland and the UK for the beautiful landscape and friendly people I fell in love with. I also loved Norway, Hawaii and Lisbon which I visited last year for the first time and just loved it. All of these places are special and mostly because of the people I met and could share amazing experiences with." 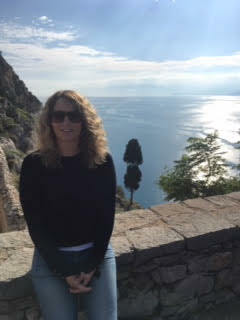 Where next: "I have an ever growing bucket list but next for me hopefully is Iceland, the Caribbean and South Africa!" Top travel tip: "I would recommend island hopping in the Caribbean so you can experience more than one island and its different culture and food. Our travel specialists can help with individual packages." Three things I couldn't travel without: "My camera, music and comfy shoes." "I have been extremely lucky in seeing a lot of the world from an early age. I grew up in Hong Kong and spent family holidays visiting Malaysia and Thailand. Then upon completing university in the UK, I jumped on a one way flight to New York where I stayed for 6 months. Next I went on to manage a chalet hotel in Saas Fe, Switzerland before heading to sea with Princess Cruises visiting Mexico, the west coast of America and Canada, Alaska and trips down to Hawaii and the South Pacific. Having worked in so many great countries, I now look forward to sharing new adventures with my husband and son." Memorable Experiences: "I have been so lucky that it is really hard to mention just a few. Catching and cooking Alaska King Crab on the Aleutian Ballad (which was previously filmed for the Deadliest Catch) in Ketchikan and seeing wild Orca's playing in the wake of our boat on our way back to the airport at the end of our trip really were experiences I'll never forget." 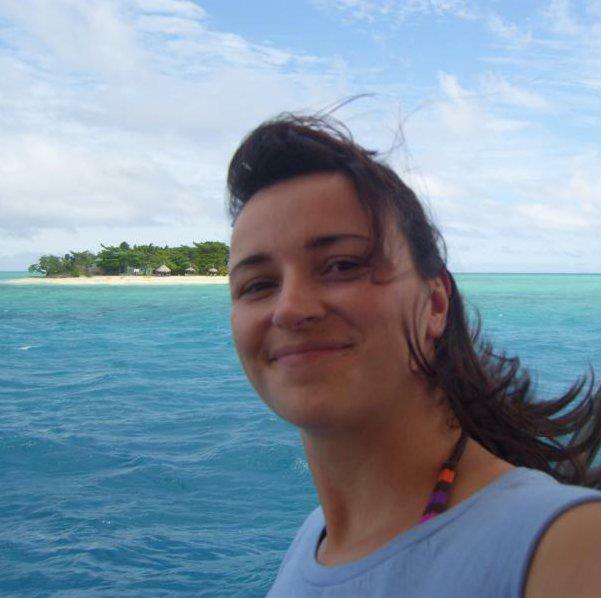 Favourite Places: "Mo'orea in French Polynesia was simply breath taking, and definitely my idea of heaven!" Where next: "I plan to return to the South Pacific with my family in the future, however within the next year we hope to explore a little closer to home around the lakes and mountains of Italy." Top Travel Tips: "Don't leave packing your case until the morning of departure! A bad habit of mine which always makes the long journeys even more stressful when it can easily be avoided." Three things I couldn't travel without: "Suncream, a camera and a street map of the destination." 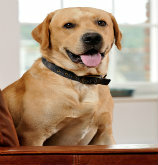 "I'm George, one of the three resident Labradors at Tropic Breeze. Along with Tilly and Alfie, I like to think we keep the office running smoothly - you'd be amazed at how much we've learnt about travelling by listening to the team here. If you hear us barking in the background we are only trying to have some creative input and making sure the Team are all working hard!" Memorable experiences: "Going for walks around the Tropic Breeze office in rural South Devon. So many smells to enjoy - Rabbits, Squirrels, Cats, other Dogs, we have them all!" Favourite place: "My basket in front of the fire here in the Tropic Breeze office. Although I sometimes pretend to be asleep, I'm really observing everything that's going on." Where next? "I may fancy another walk later on after the office closes, I'm always ready to explore the neighbourhood." Top Travel Tips: "Go somewhere warm, going for walks in the cold and wet are not as much fun!" Three things I couldn’t travel without: "Treats, my lead and some water."